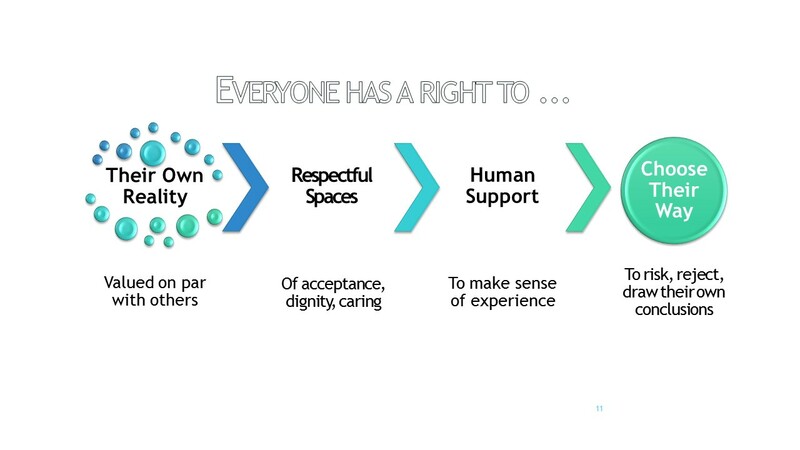 Here's what we offer at Peerly Human and the Wellness/Recovery Human Rights Campaign (https://www.facebook.com/groups/WellnessRecoveryRights/). Video, voice and text are all options. 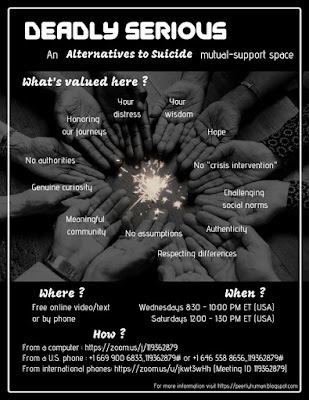 Call participants are welcome to come and go. If you come late, please enter quietly and respect the discussion that is going on. Evidence that peer initiatives work, http://store.samhsa.gov/shin/content//SMA11-4633CD-DVD/TheEvidence-COSP.pdf. WRAP plans can be developed specifically for issues like wanting to die. WRAP plans also support identification of life-promoting, capacity-restoring activities like art, exercise, creativity, writing, social interaction, nutritious eating, meaningful vocation, relaxation, meditation, spiritual development, body work, massage, yoga, dance, etc. Do you know of other helpful resources that respect personhood and treat us as people first...? Please share! Is there any whatsapp group for peer support? 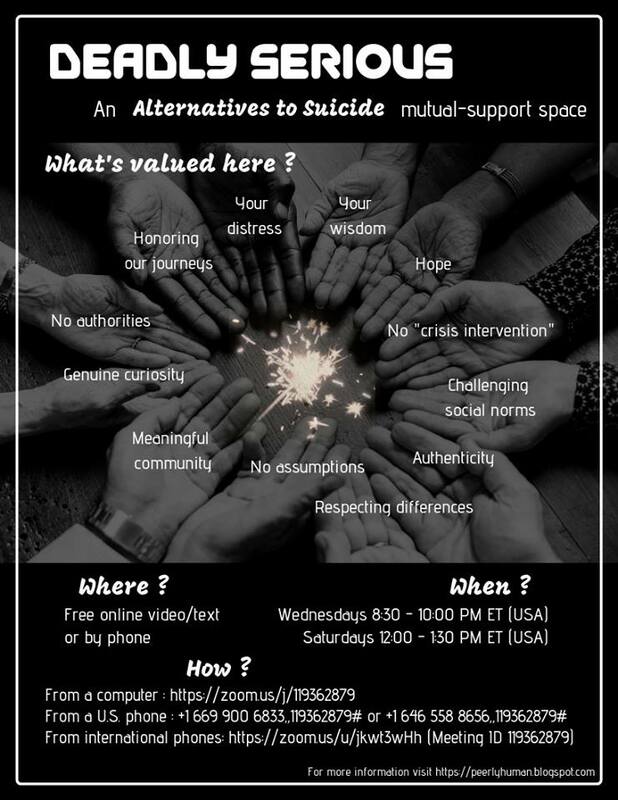 Amazing resources especially phone support groups!